The iOS 4.1 software update is unquestionably the biggest new addition to the capabilities as well as the improvements to existing features by fixing a number of bugs in the previous version. 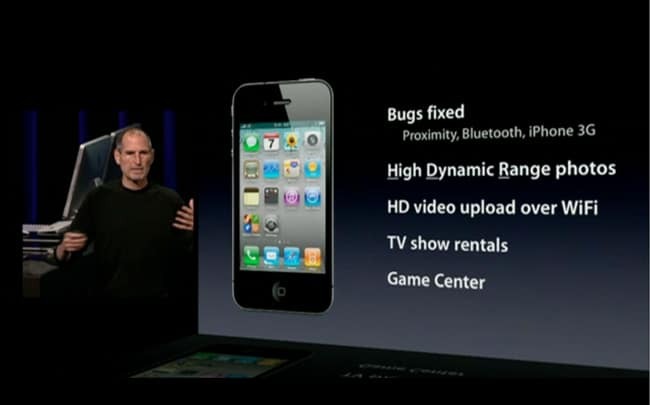 The new features in Ios 4.1 includes High Dynamic Range photos, HD video uploads over WiFi, TV show rentals, and, at long last, Game Center. What is notable is that a brand new built-in app that capitalizes on the success of gaming on Apple's mobile devices, Game Center. Game Center is a social service that helps connect gamers with their friends, earn achievements, and find opponents online. Game Center better implement multiplayer into their games and players will now be able to easily challenge their friends to matches. It enables users to play against other people, anywhere in the world. The second improvement in iTunes is the addition of TV show rentals. Apple's offering rentals of episodes from a few sources, including Fox, ABC, and a handful of others. However, it will charge you money on this. Actually you could record the TV show by yourself by HD camcorder, then transfer the recorded videos, including AVCHD, M2TS, MOD, TOD, MTS videos to iPod, iPad iPhone supported video formats with the help of MacX Video Converter Free. In addition, the iPhone 4 and the new iPod touch are capable of shooting high-definition video, and the IOS 4.1 update makes it easy to upload this footage directly to the web. Users will need to use a Wi-Fi connection to instantly publish their HD videos to YouTube or Apple's cloud-based data-synchronisation service, MobileMe. Then how should you do if you would like enjoy YouTube videos on your iPhone, iPod, iPad, or Mac computer? MacX Video Converter Pro would be one of the best solutions for you to download YouTube videos and convert to any video & audio formats you familiar. Besides game center and HD video uploads feature, high dynamic range photos (HDR) is another major improvement that iOS 4.1support. This new feature appears to be limited to the iPhone 4. It help users take better photos. Whenever a picture is taken, three versions of the same image are captured; a picture at normal exposure, an underexposed picture, and an overexposed picture. iPhone will then stitch these pictures together, taking the best elements of each, to generate a photo with the right contrast, colour balance and sharpness. But what the image you favor is a scene from DVD movies, you need to take snapshot from DVD movies and convert to JPG, BMP format which is supported by most of the portable devices, then MacX DVD Ripper Free Edition would help you get favorite pictures from movies, which can be set as wallpaplers. Not only limited on these functions, the update iOS 4. 1 also adds the features such as multitasking, the iBooks e-reader, app folders and the ability to change home-screen wallpaper and much more. Overall, iOS 4.1 will bring better entertainment for the boring life.